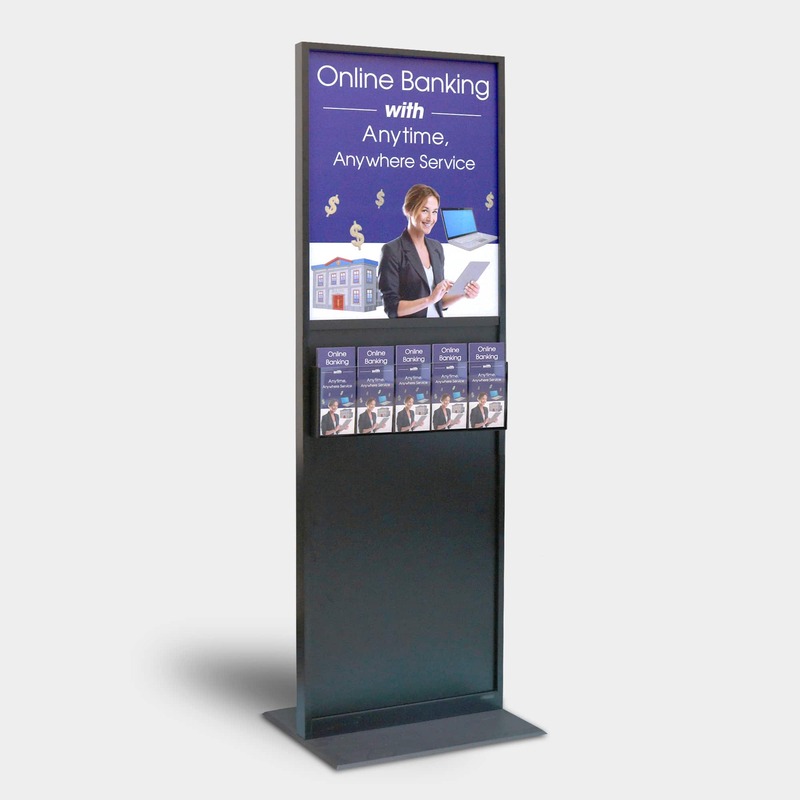 Kane originated the slimline style Kiosk over 30 years ago for the financial industry. 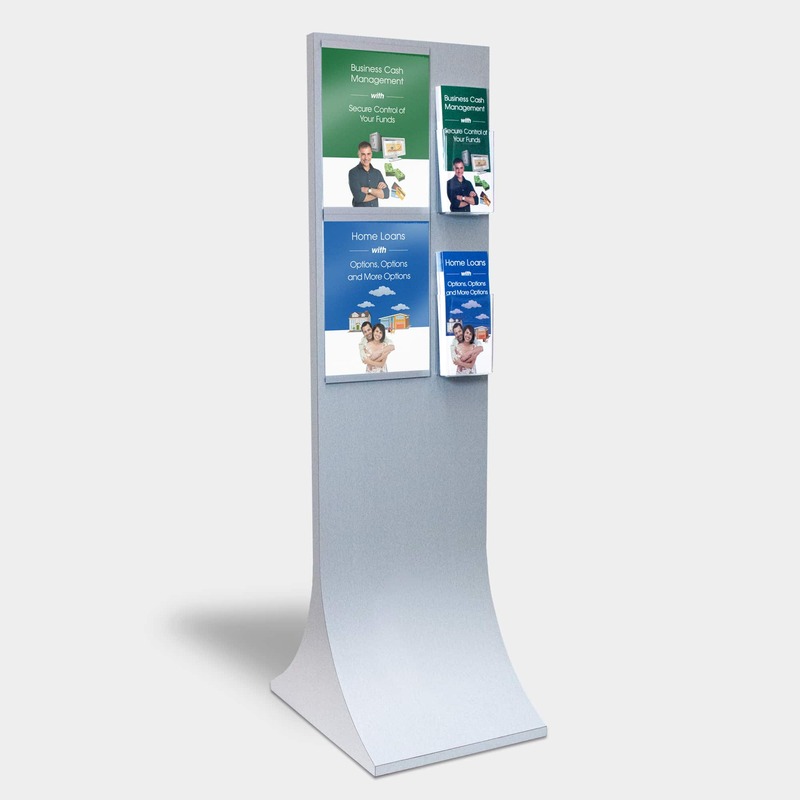 Kane originated the slimline style Kiosk over 30 years ago for the financial industry. The classic kiosk design has lasted the test of time. The metal face, on both sides, allows for flexibility of magnetic marketing components for easy configuration. All of our components have magnetic backing for easy configuration of merchandising components. 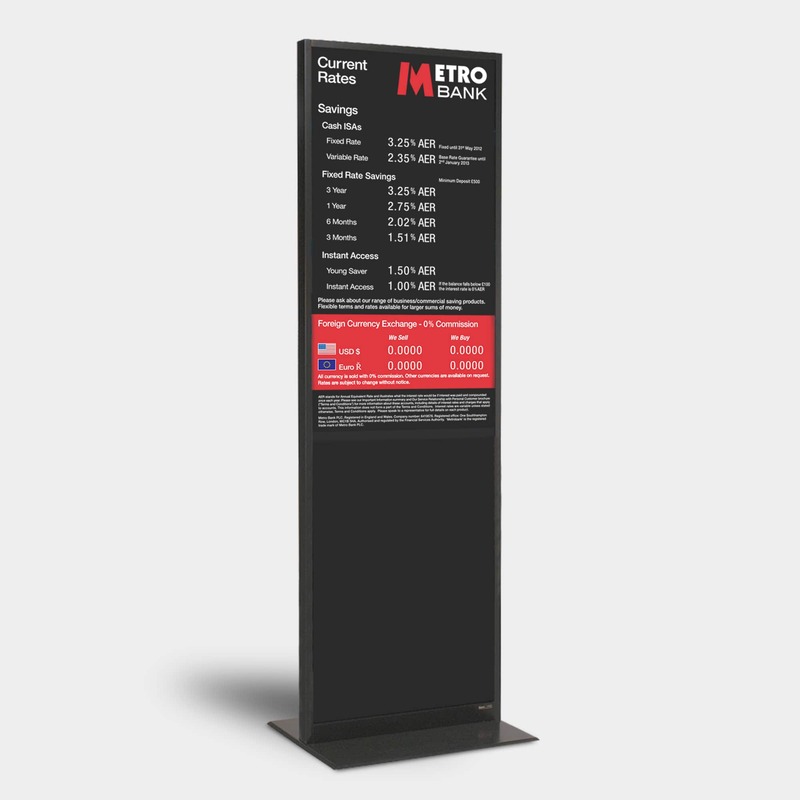 Our patented magnetic rate display components fit together so precisely, they appear as one printed display. Sub-surface printing on polycarbonate plastic insures long lasting durability.